The Wailers continue their quest to bring reggae to the forefront of the world's stage. 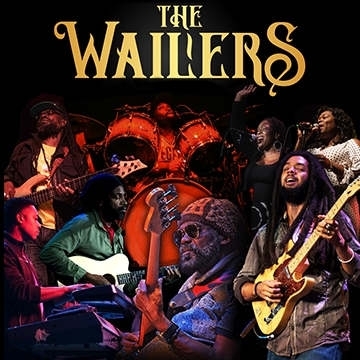 Led by renowned bassist and founder Aston "Familyman" Barrett, and joined by original Wailers guitarist Donald Kinsey, The Wailers give audiences around the globe the opportunity to experience their unique and innovative sound. From 1972 to 1980, Bob Marley & The Wailers recorded, toured, and performed before countless millions worldwide. Since Bob Marley’s untimely passing in 1981, Familyman vowed to keep a promise he made to his leader and friend – that he would hold the band together and maintain the music’s quality, to “keep me [Bob Marley] alive through music.” The message is still Burnin’, the Exodus of Jah people continues, Uprising and Survival remain the call to fans. The incomparable Wailers are coming to Babylon by Bus, to rock the stage, to bring the magic and message of Roots Rasta Reggae. It’s a Rastaman Vibration: a slice of music history you must not miss. Legend.